Roasted Carrot Sandwich with Sunflower Cream | Naturally. I feel that sandwiches are easy to overlook when thinking about vegetarian lunches. However, I love the endless possibilities of vegetables, greens, and sauces. A solid sandwich in my book can be as simple as fresh summer tomato, mozzarella sandwich to a cheese and pickle sandwich with mustard (and no, I’m not pregnant). 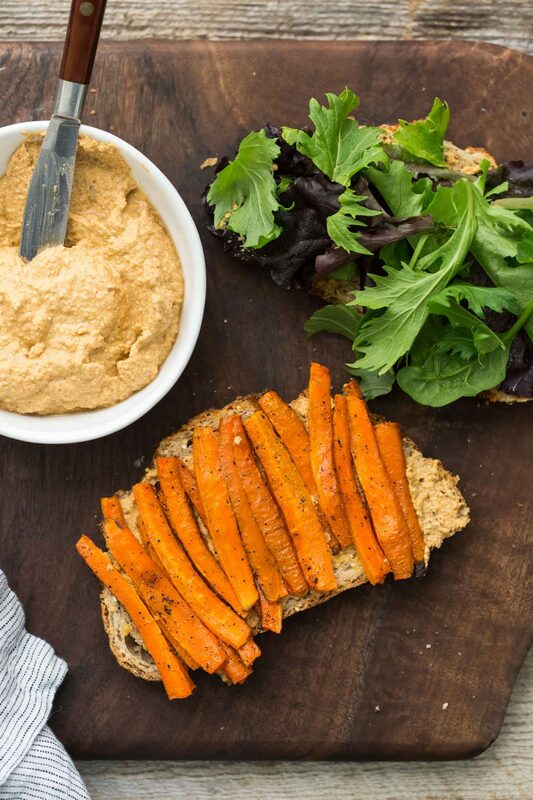 This carrot sandwich stems from this hummus sandwich with pickled carrots. I love the slight sweetness that comes from roasting the carrots and the smoked paprika sunflower cream may be my new favorite condiment. 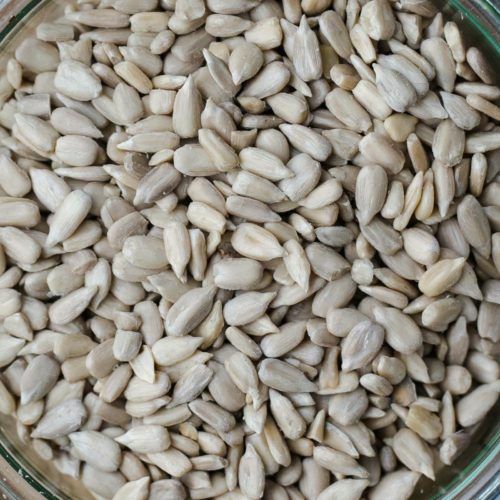 Combine sunflower seeds with water and let sit for 1 hour. Heat oven to 400˚ F. Slice carrot into ¼” thick strips, roughly the width of your bread slices or smaller. Toss with olive oil, salt, and pepper. Roast until tender and starting to brown, 20 minutes or so. In a high-speed blender, combine the sunflower seed/water with lemon juice, smoked paprika, zest, and salt. Puree until smooth and the consistency resembles hummus. 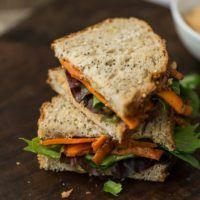 Assemble the sandwich by spreading two tablespoon of the sunflower cream on one side of the bread then layer the avocado, lettuce and roasted carrots. Spread 1 to 2 more tablespoons of the cream on the remaining piece of bread and add to the sandwich. Tips & Tricks: I’ve had luck with not soaking the sunflower seeds (if you’re pressed for time). Soaking helps get the cream a bit smoother. Sweet Potatoes: Carrots can be slightly awkward to cut but I love their flavor roasted. If you would like something a little easier that would fill the sandwich, sweet potatoes are perfect. 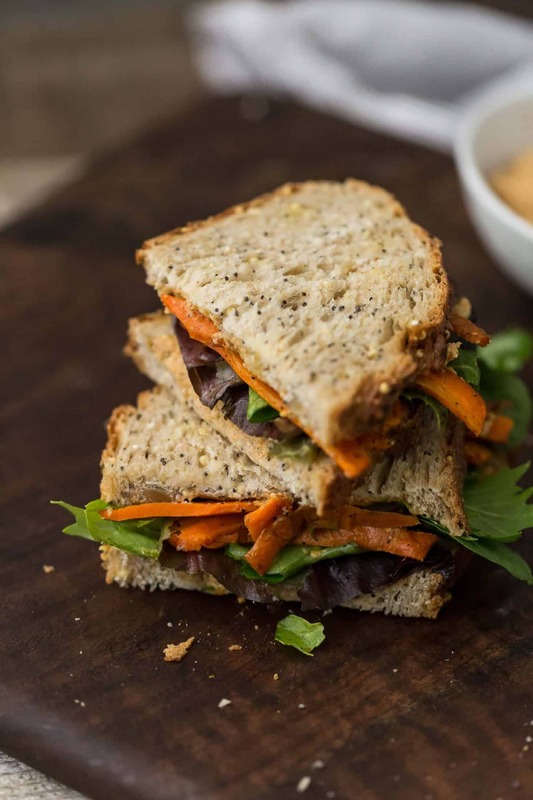 You could also make sweet potato chips for the sandwich! Greens: I really love microgreens with this sandwich, particularly radish or arugula- the small bit of spice from these greens is a nice touch. Nuts/Seeds: Want to make this but don’t have sunflower seeds on hand? Cashews would just as well! I keep a fairly extensive collection of nuts and seeds on hand whether it’s for a snack, nut-burger, or salads. Sunflower seeds are one of my go-to salad toppings and I love sunflower seed butter (I might love it more than peanut butter, which is saying quite a bit). I typically only buy raw sunflower seeds and toast them before using. This looks amazing! I’ve been making my own lunches now (part of my New Year’s resolutions to be healthier and save money) and this is definitely on the list now. Could you use roasted sunflower seeds or sun butter? I believe roasted sunflower seeds would work. 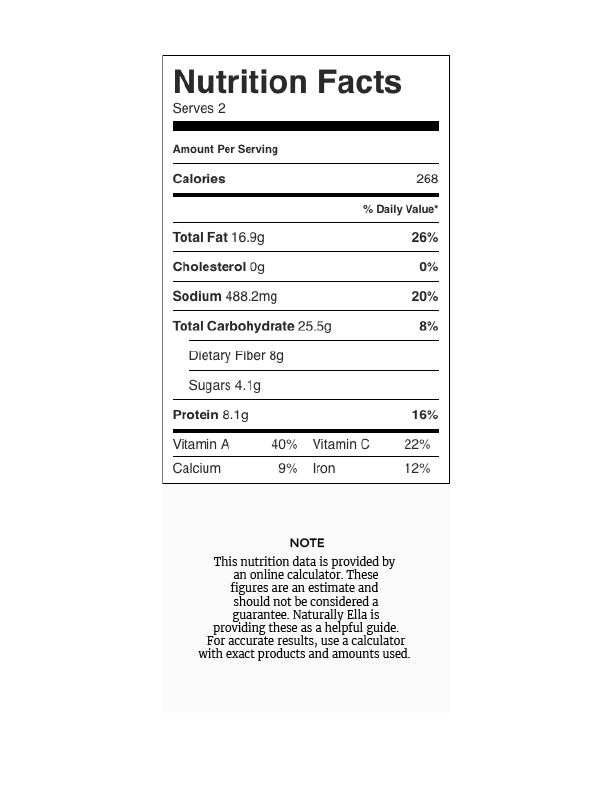 Sun butter wouldn’t have the consistency as using whole sunflower seeds. Thank you for sharing this recipe. It is amazing! With two of my favorite flavors- sunflower seeds and avocado, I just had to try it. I home-made whole wheat tortilla’s and turned it into a wrap! It was so delicious!!! Yum!